Go HERE for more photos of the 434th. Colonel John Hoff, Bakalar Air Force Base commander, shaking hands with President John F. Kennedy at Homestead Air Force Base in 1962 after the Cuban Missile Crisis. 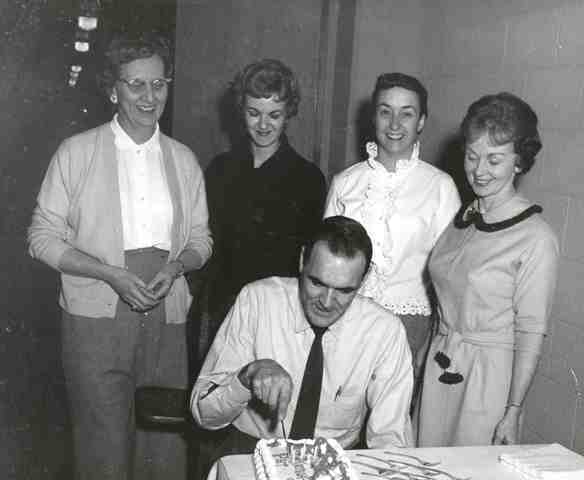 Senior Master Sergeant Patrick B. Hurlbut at his March 28, 1962 surprise birthday party at Bakalar Air Force Base planned by Miss Alberta Abraham. Also present were Mrs. Margaret Irving and Mrs. Betty Caldwell, both former Administration personal who were then working in Base Civil Engineering. Miss Alberta Abraham at her desk at the base headquarters building Bakalar Air Force Base. 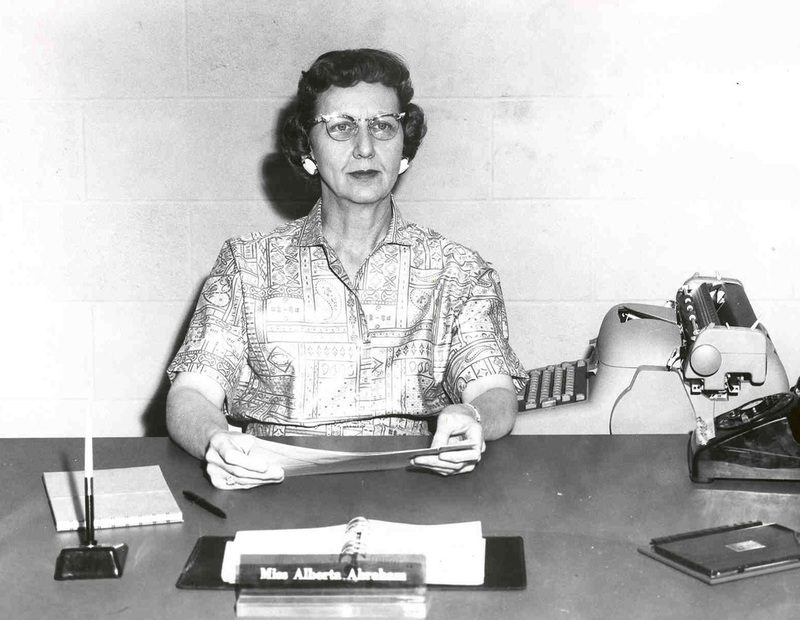 Mrs. Abraham was the base commander's secretary. The former base headquarters building is now part of the Indiana University Purdue University Columbus Campus. 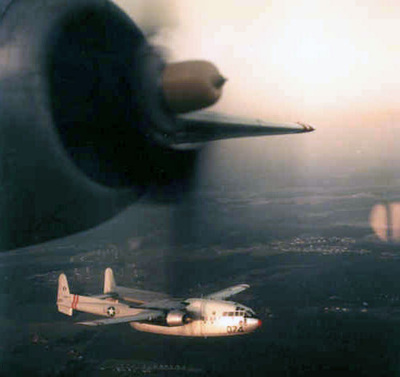 These photographs are of the 434th's C-119G #991 from Bakalar Air Force Base as it flies over the Hoosier landscape and #991 over Seymour Johnson Air Force Base, NC according to a couple of the Museum Volunteers and former 434th members. 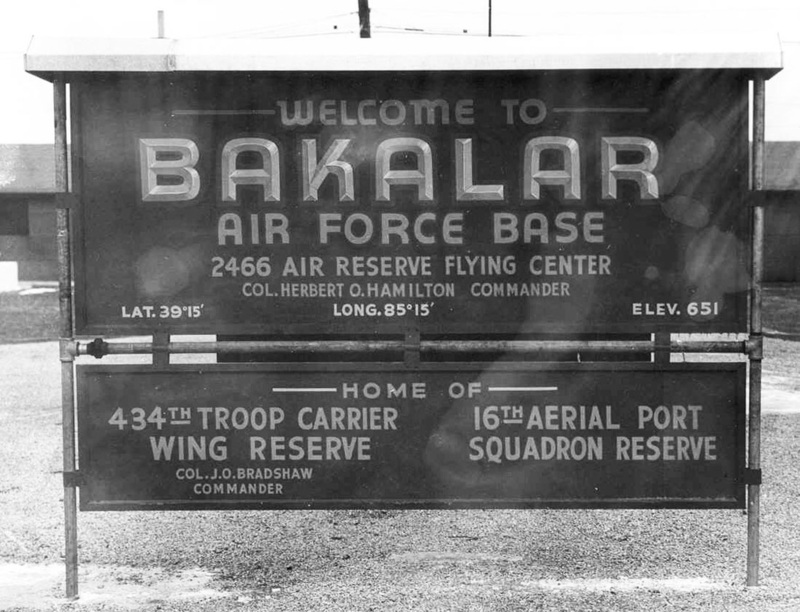 According to George Friesen, who was a Captain in the USAFR and a former pilot with the 73rd Troop Carrier Wing of the 434th, they came to Bakalar Air Force Base quite often, especially to train on the C-119 simulator. 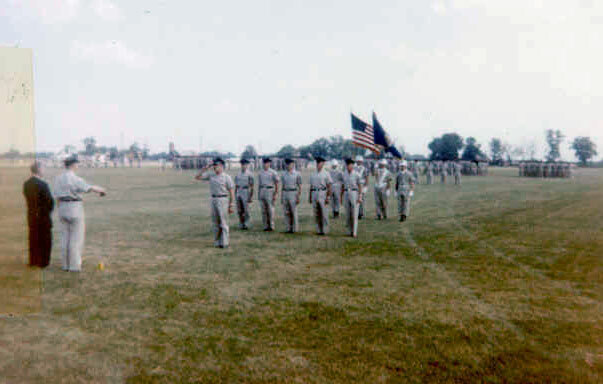 The 73rd was stationed at Scott Air Force Base, Illinois at that time. 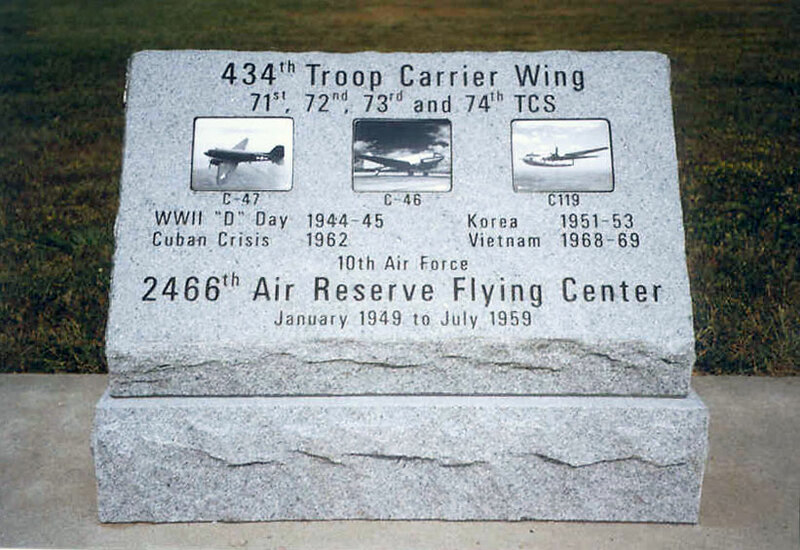 The 73rd was also activated for the Cuban Missile Crisis, along with the rest of the 434th Troop Carrier Wing, and flew missions to Homestead Air Force Base, Florida. 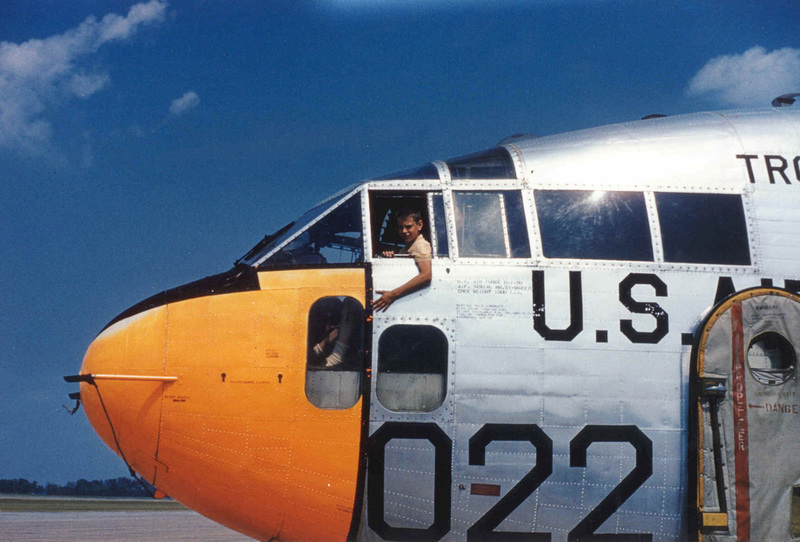 This photo, from the George Friesen collection (a former 434th pilot), is of the cockpit of a 73rd Squadron C-119 over Fort Campbell, Kentucky, during 1960 in support of a 101st Airborne air drop. 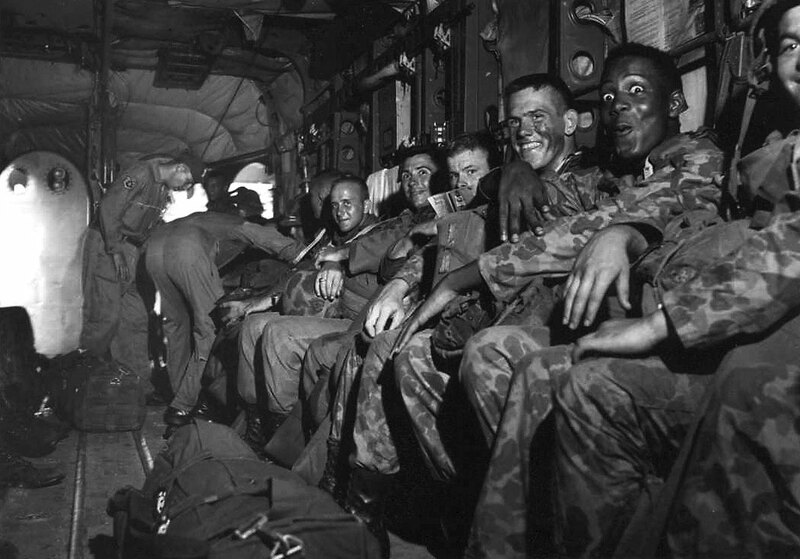 According to George, who was the pilot in the photo, they did regular flights to Fort Campbell. Note the C-119 flying in formation out the cockpit window. 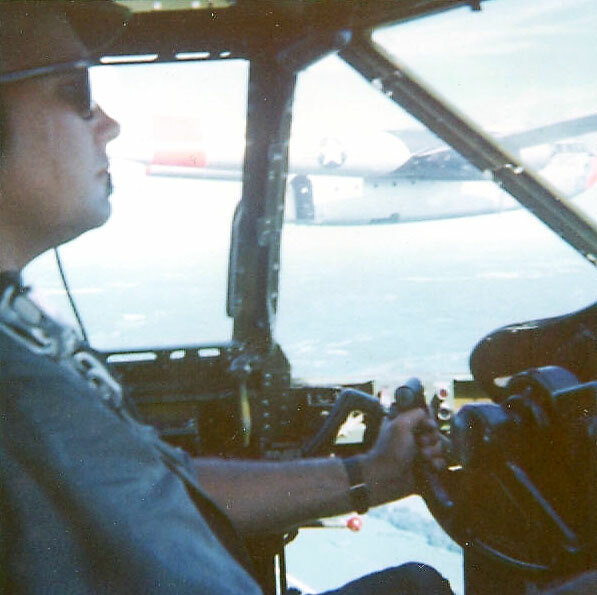 Quoting George Friesen about the C-119 Flying Boxcar simulator training at Bakalar Air Force Base. "At the time I thought it was absolutely incredible technology because the cockpit would tilt, lightning would flash outside, we'd hear thunder, and if we made a good landing we'd hear the squeak of tires on the runway." C-119s on the ramp - C119s were flown out of Bakalar Air Force Base longer than any other aircraft type. 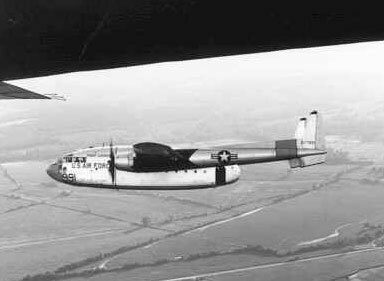 The 434th traded its C-46 Curtiss Commando aircraft for the newer, faster, and bigger C-119 "Flying Boxcars" in 1957. 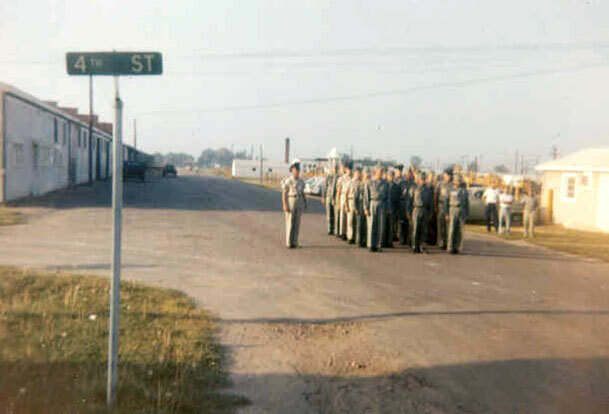 A base sign in the mid 1950s listing Colonel Herbert O. Hamilton as base commander and Colonel J. O. Bradshaw as 434th Troop Carrier Wing commander. From a 1957 2466th newspaper "The Wing Script" an article about the C-119 transition training. 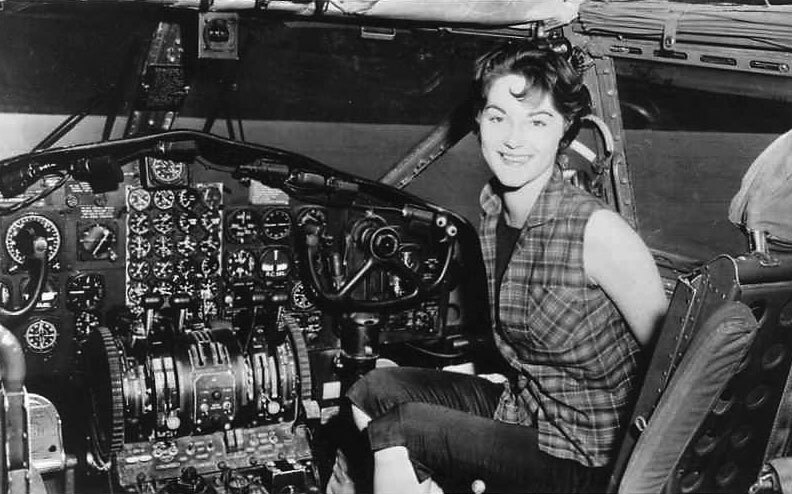 A picture post card from Bakalar Air Force Base with an attractive lady sitting in the cockpit of a C-119G aircraft. 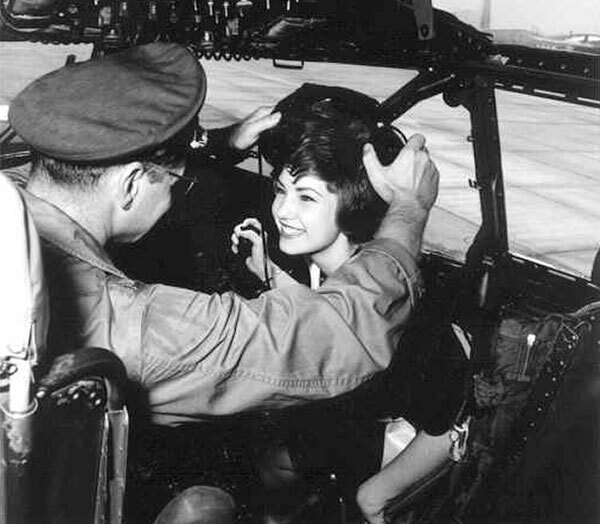 Another photo of the lady getting some personal attention from the C119G pilot Major Lawrence W. Shinnick. This appears to be the same lady in both photographs but we don't know if they were taken at the same time. (Can you help us identify the lady?) 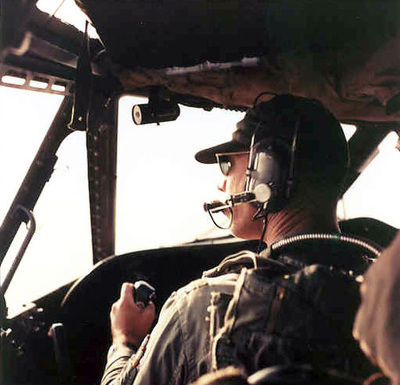 The C-119 pilot was recently identified for us by his son, Terry Shinnick of Columbus Ohio. 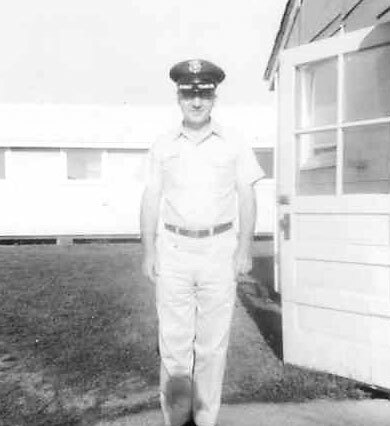 Major Shinnick served at Bakalar from 1962 to 1965 and was a regular Air Force advisor at the base. Stand up, hook up, shuffle to the door. Jump right out and count to four. One, two, three four! Why did I leave this perfectly good airplane? 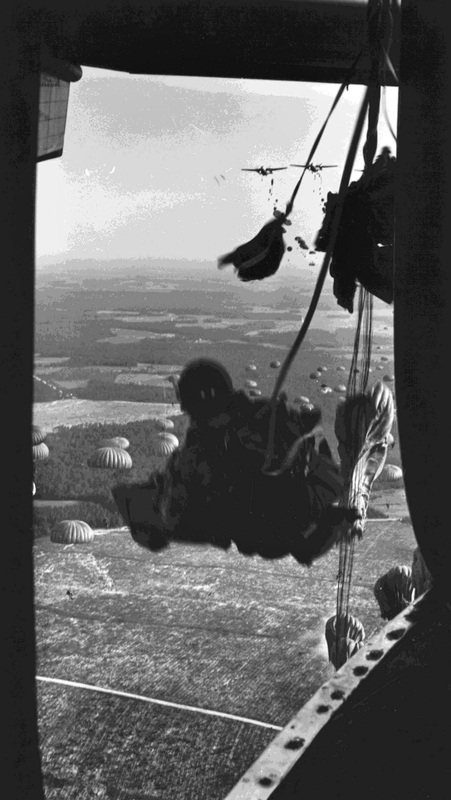 Paratroopers jumping from 434th C-119s, believed to be over Camp Atterbury, Indiana. 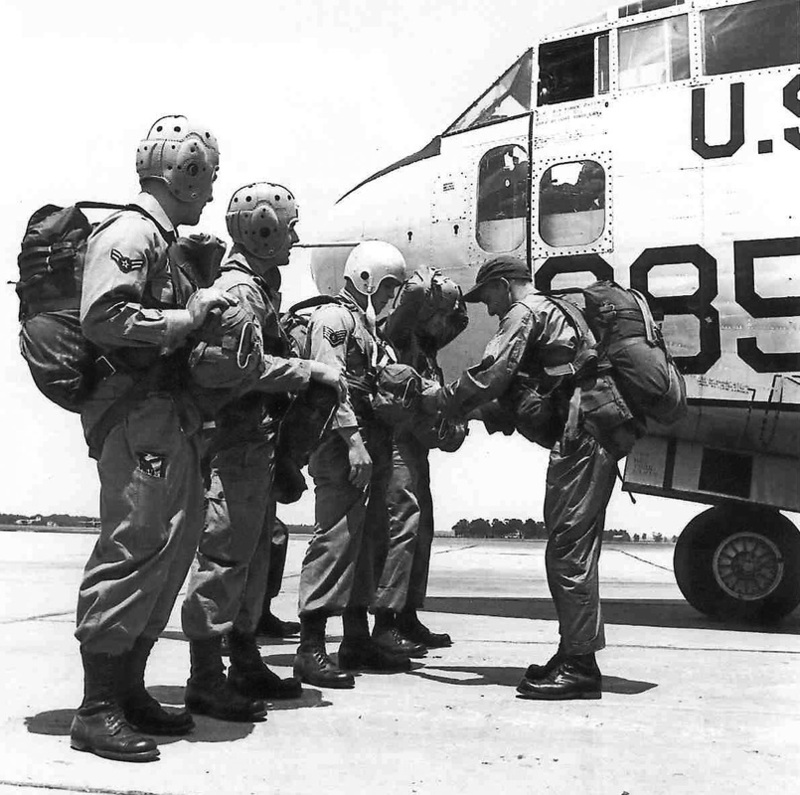 The Combat Control Team 16th Aerial Port Squadron assigned to Bakalar Air Force Base during the early 1960s. 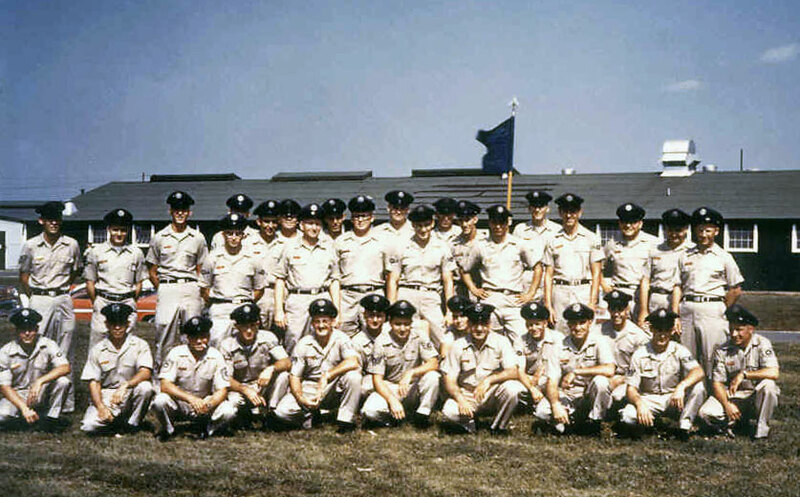 Members of this group included First Lt. John G. Devejian, Tech Sergeant Richard E. Moore, Staff Sergeant Alan L. Weimer, Airman First Class Jackie L. Barger, Airman Second Class David Burton, and Airman Second Class Harry E. Thompson, who donated the photographs and information to the museum. In the photo above are Burton, Thompson, Weimer, Callahan, and Nelson. Physical training for the Combat Control Team. 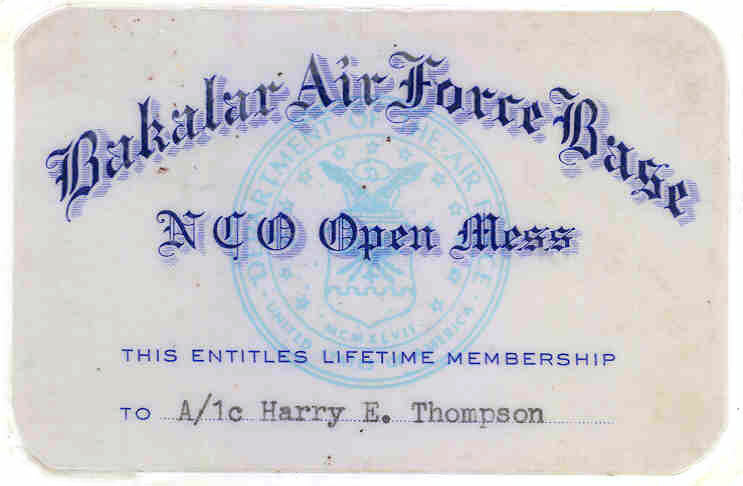 Museum Volunteer and former Bakalar Air Force Base Airman Harry Thompson's Open Mess ID Card. 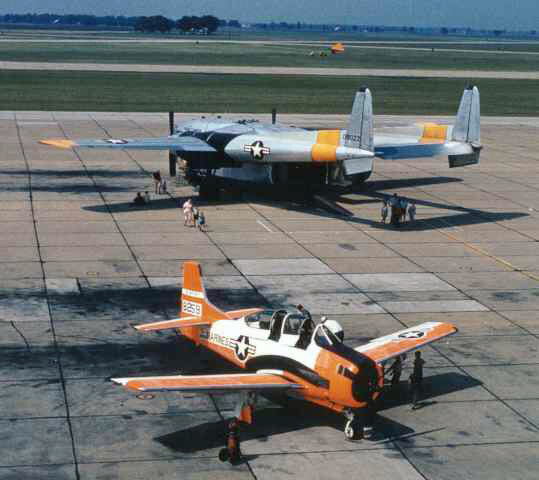 Columbus businessman, John Sasse took these photos during a May 1962 open house at Bakalar Air Force Base. 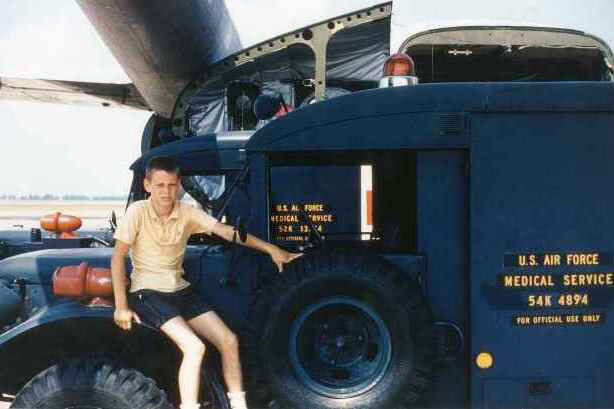 The young man on the Air Force ambulance fender is Joel Sasse, John's brother. 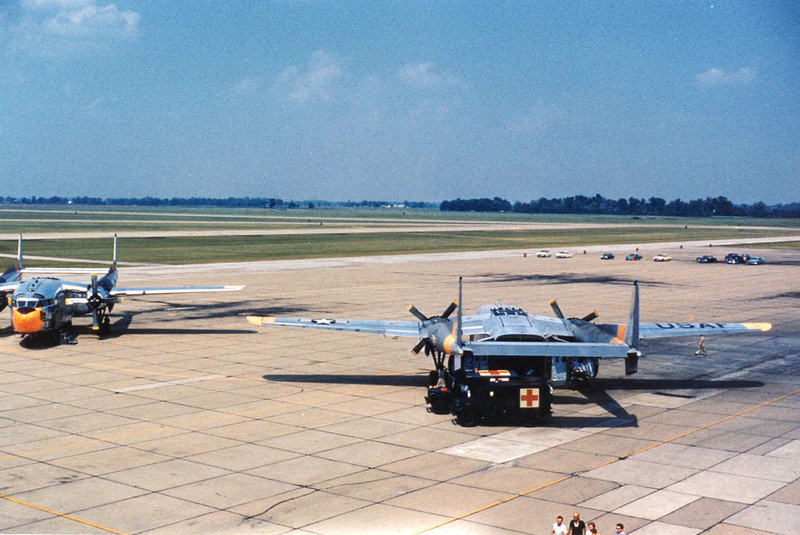 Two more great photos of the 434th's C-119s on the ramp at Bakalar Air Force Base taken by John Sasse in May 1962. Note the orange nose and tail stripes on the aircraft. 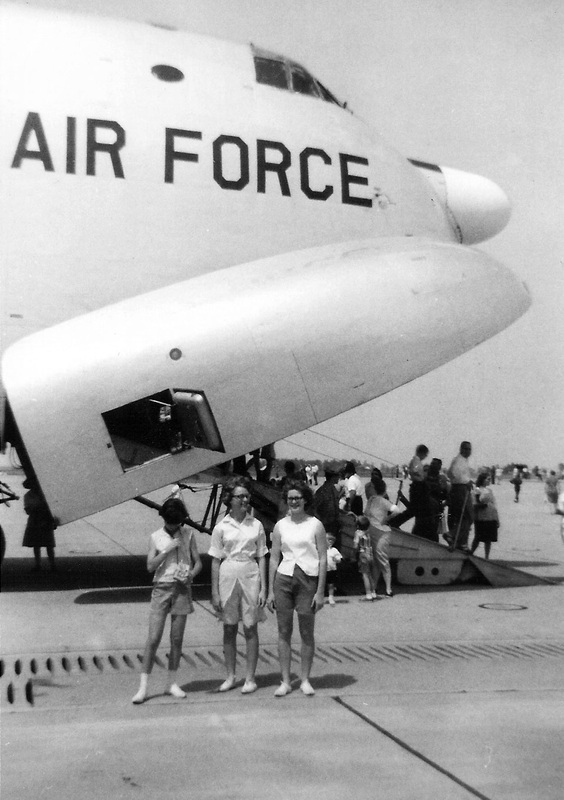 1964 Open House with Sarah Lucas, Betty Tanner and Kathy Lucas standing by the aircraft. 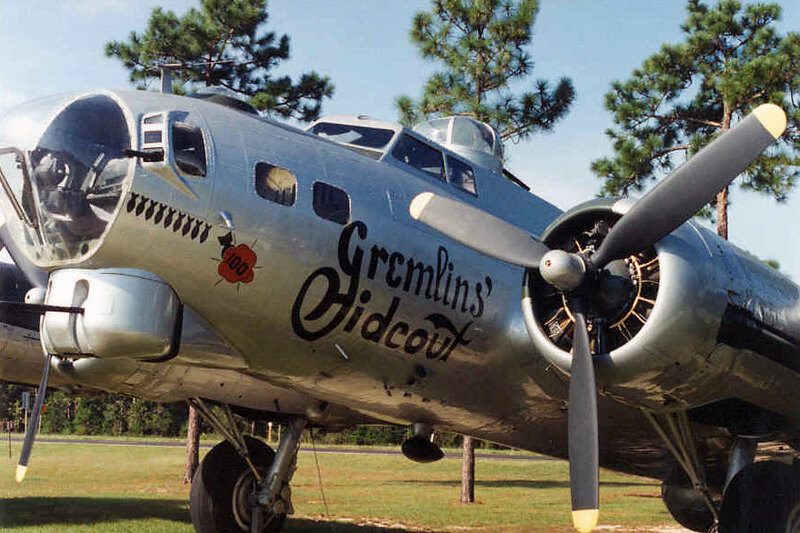 This B17 "Gremlins' Hideout" is the same one former Bakalar Air Force Base Commander Major General John Hoff flew in combat during WWII. This aircraft is currently on display at Eglin Air Force Base, Florida. 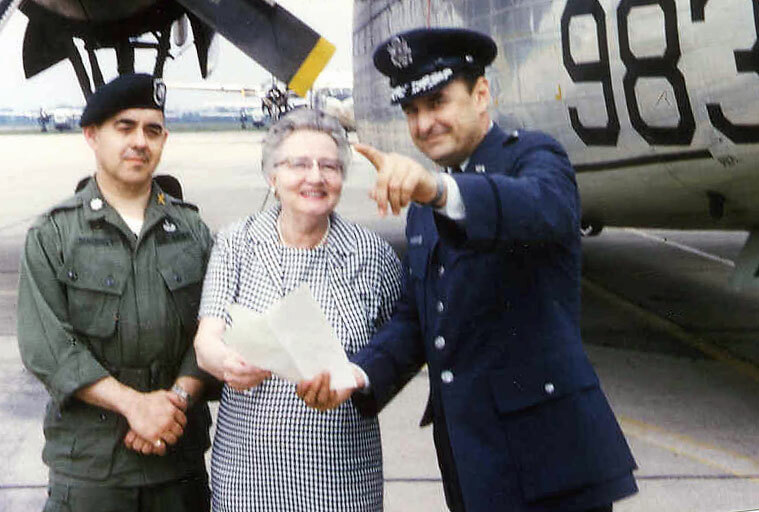 The photograph of General Hoff in the blue uniform was taken some years ago with Mrs. Bakalar, the mother of John Bakalar. 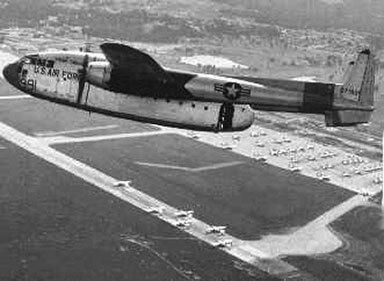 Note the C119 on the ramp at Bakalar Air Force Base, Columbus, Indiana. 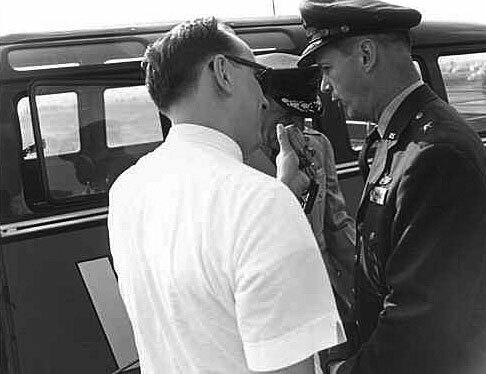 Gus Grissom at Bakalar Air Force Base being greeted by John Hoff. In the back of Gus's T-33 jet were Christmas presents. 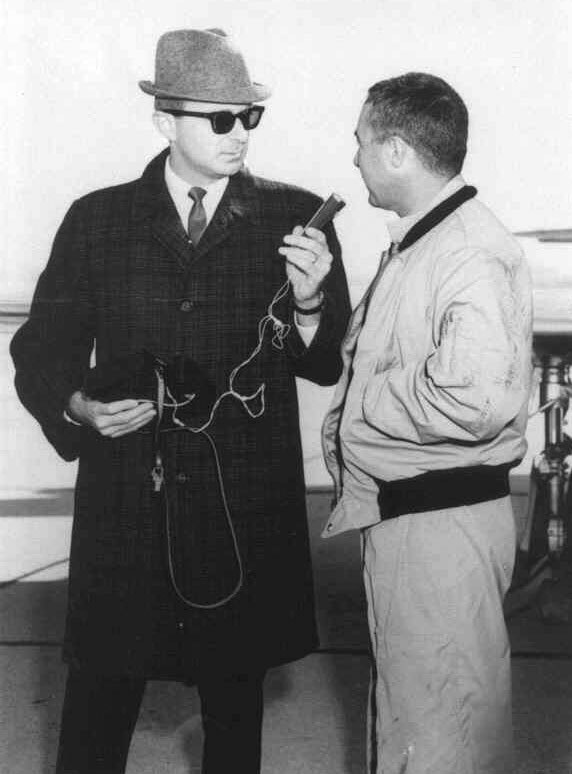 Long time Columbus, Indiana radio broadcaster, Sam Simmermaker, who is in his fifth decade of broadcasting at WCSI Radio, interviewing Gus Grissom in this 1960s photograph. 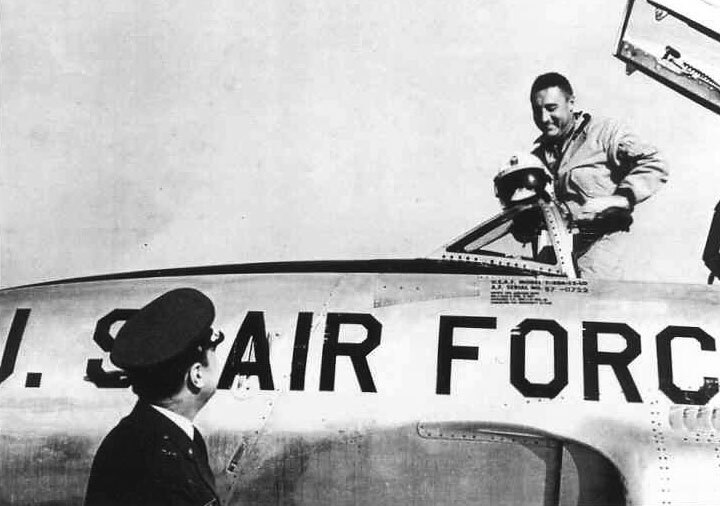 Gus had flown into Bakalar Air Force Base to park his T-33 overnight to visit his family in Mitchell, Indiana for Christmas. 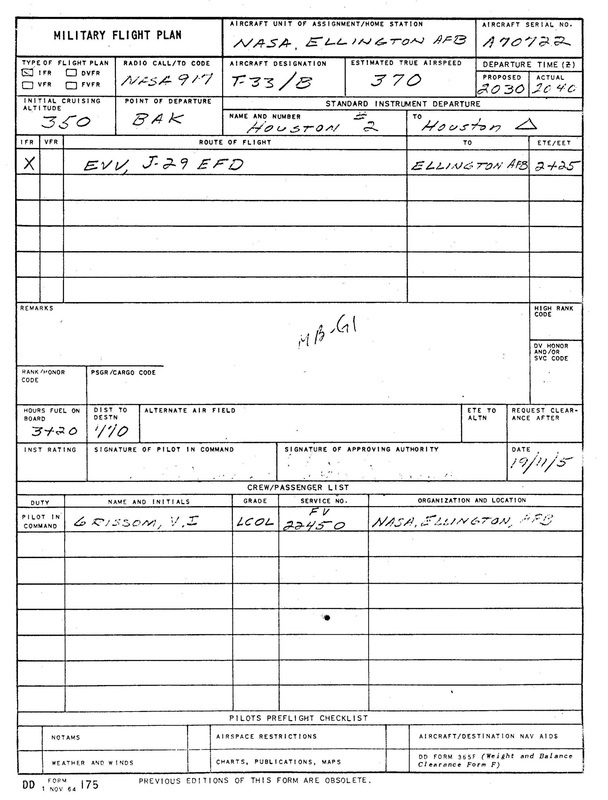 Below is the original flight plan from Bakalar Air Force Base to Ellington Air Force Base for Gus Grissom and his NASA T-33B #A70772. Unfortunately, his signature is so faded on this original document that it doesn't show when transferred to this web site. 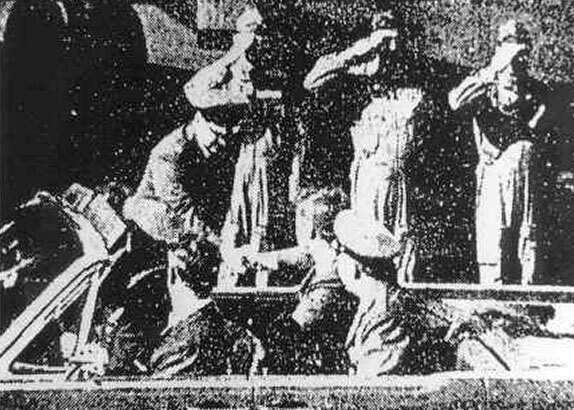 He signed both as pilot in command and approving authority. From left to right in this photo is Major General Robert E. L. Eaton, 10th Air Force Commander, WCSI Radio newsman, Major General Bradshaw - 434th Wing Commander, Colonel John Hoff - 434th Vice Commander, and General Bradshaw's Aid. 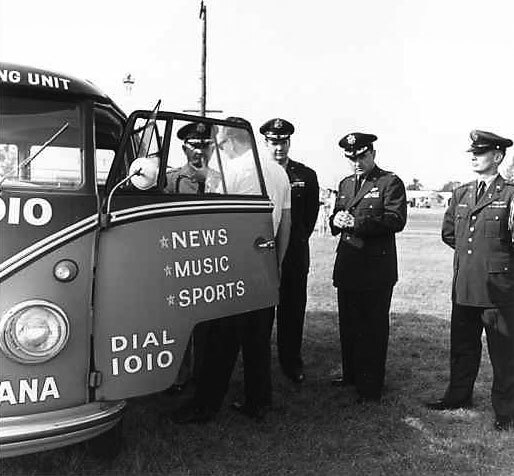 Note the snazzy VW van news vehicle. 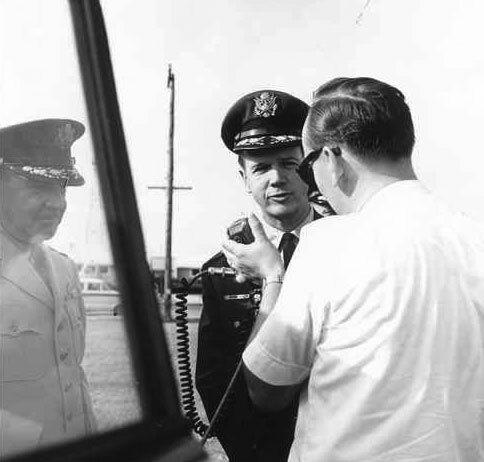 The second photo is of the WCSI Radio newsman, General Eaton, who is partially hidden by the microphone, and General Bradshaw. 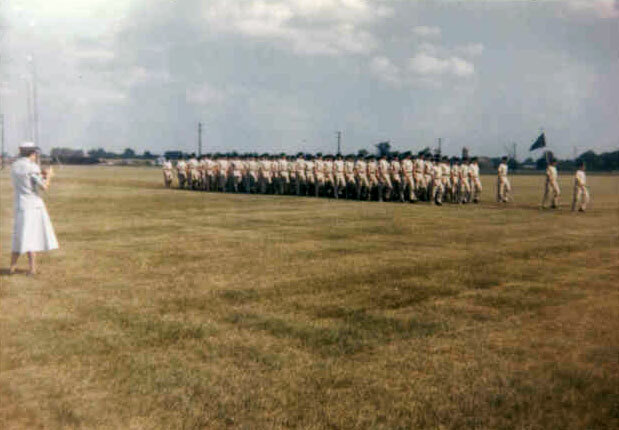 Summer Training August 15-30, 1958 for the Field Maintenance Squadron. Colonel Lalu, Commander of the Supply Squadron. 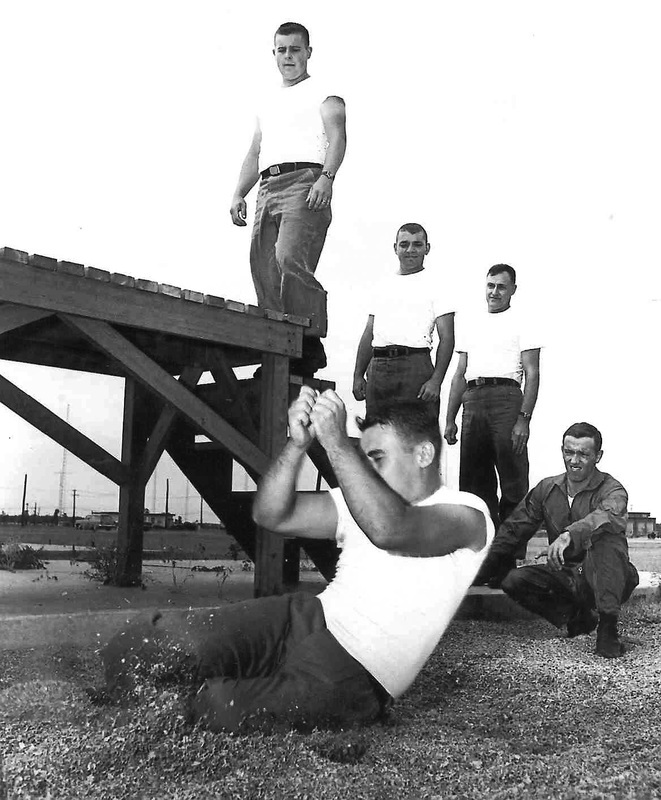 The remainder of this series of photographs are believed to be of the Annual Training period in 1961 at Bakalar Air Force Base. 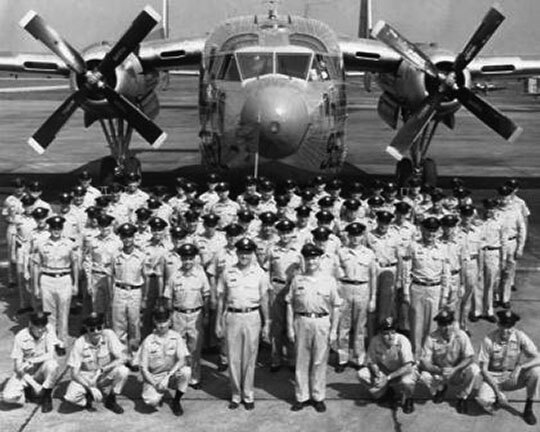 This group photo is identified as the Supply Squadron. 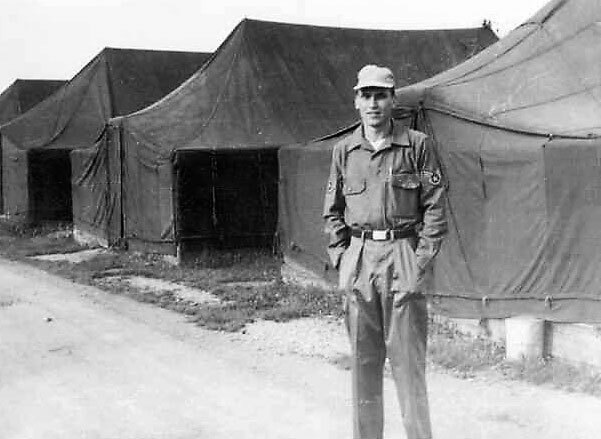 SSG C. E. Kuehling in the "Tent City" area of Bakalar AFB, date unknown. Do you have historical photographs or stories you can share? 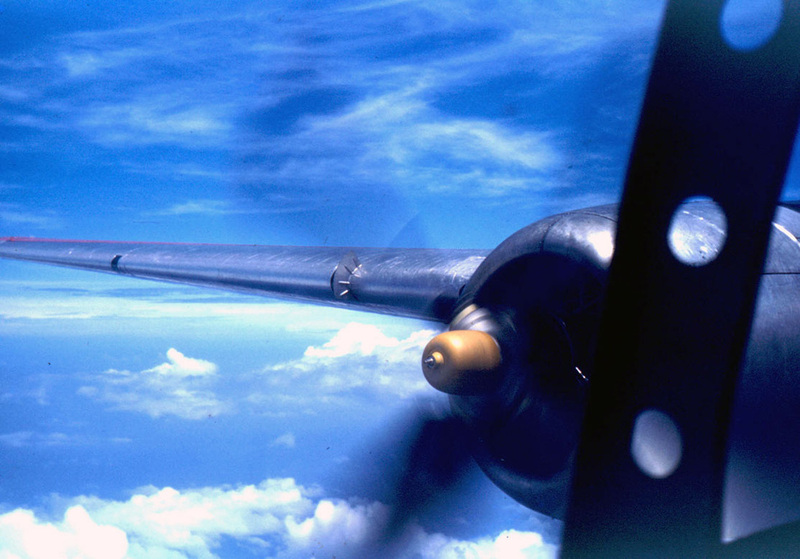 Do you have historical photographs or stories you could share with the Atterbury-Bakalar Air Museum? Let us know if you do. We want photos and personal recollections, from the Mess Hall to the Flight Line and everything in-between. The banner image at the top of this page is from Wikipedia, see the original here.